Front Range Nuclear Service in Cheyenne offers a wide variety of leasing options for medical imaging equipment, including mobile nuclear imaging options, short and long-term leases for on-site medical equipment, and SPECT imaging equipment leasing. Serving the United States, Canada, and Mexico, we are perfectly situated to meet your needs no matter why they have come up. Today in our blog, we will examine four reasons that your business might need mobile nuclear imaging leasing and will discuss the benefits of that service. If you currently have a need for imaging equipment, mobile or fixed, for your business, reach out to Front Range Nuclear Service. One of our friendly and helpful service representatives will be happy to answer your questions and get you set up with a fully transparent, hassle-free agreement to get the equipment you need. Some organizations and businesses are in a position where they have the free space to move medical labs and medical equipment during times of renovation so they can avoid interruptions in the service they offer. However, they are far and few between. Most of us are utilizing every square inch of space that we can to provide quality medical services to as many of our patients as possible. So when a renovation takes place, something has to find its way into storage until the work is done. Front Range Nuclear Services provides top-line quality nuclear imaging equipment that has been built onto mobile platforms so that you can continue providing services even when your traditional space isn’t available for use. Most successful practices intend to grow as time goes by. Serving more patients allows you to meet your communities needs and drive the revenue you need to continue to grow the number and quality of your services even more. 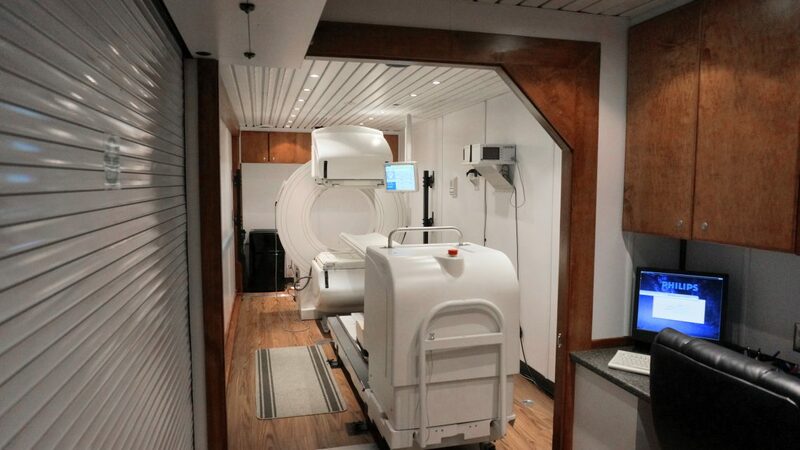 If you have the desire to offer medical imaging services of any kind, Front Range Nuclear Services’ mobile nuclear imaging leases can provide you with the equipment, PACS, and training that you need to get started now. There is no need to wait for building permits, long-term lease agreements, and hiring to slow you down from serving your community now. It seems like massive storms, heat waves, and hurricanes are becoming more and more common. During these times of turbulence and uncertainty, patients can miss appointments, backlogs can grow, and doctors can be pulled in for more direct service to an ailing community. In some cases, access to important services, like medical imaging, can even be lost due to flooding and evacuation. 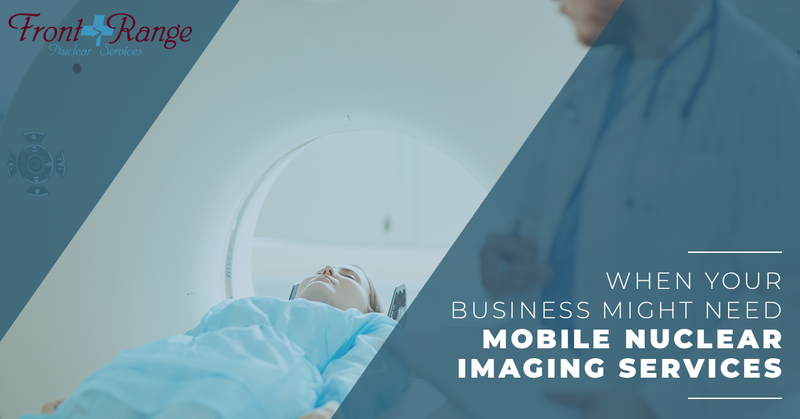 If your facility needs to increase its ability to provide quality diagnostic imaging services to people in need or address a backlog of patients and get back to normal operating conditions, our mobile nuclear imaging services are the answer. From oil booms in the Dakotas to refugee populations being moved away from devastating flooding or international conflict, the last decade in the United States has seen human movement patterns that can put an incredible amount of stress on local medical care providers — especially if those providers are in smaller, more rural communities. When you find yourself overwhelmed by an influx of people with needs that your current facilities and medical equipment can’t meet, contact Front Range Nuclear Services. We can help alleviate the pressure on your staff and supply you with the mobile nuclear imaging equipment you need to continue providing high-quality medical care to your patients. We pride ourselves on our ability to provide doctors, radiology teams, cardiologists, and hospitals with the imaging equipment they needs at great rates, with flexible terms, and a fully transparent agreement. If you have a need for mobile or on-site medical imaging equipment, or just think you’re paying too much in your current lease, contact Front Range Nuclear Services today for the help you need and the service you deserve.